We got a request all the way up in Canada to build our F150 prerunner bumper and ship it up North. After building the bumper it was sent out and our client installed it on his truck. Here is a pic he sent me. We had to customize the design to work with the factory valance, and the owner installed a 24″ LED lightbar. 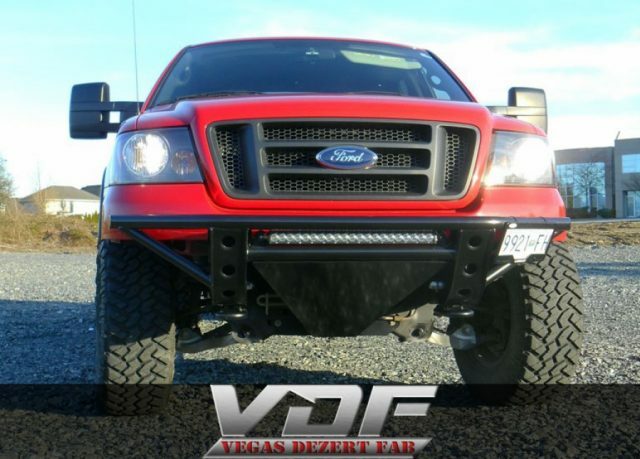 If you need a prerunner bumper built for your truck contact us today. Tags: bumper, F150, and prerunner bumper.